Sara caught up with Rafeef Ziadah backstage at her Sydney performance of “We Teach Life”. 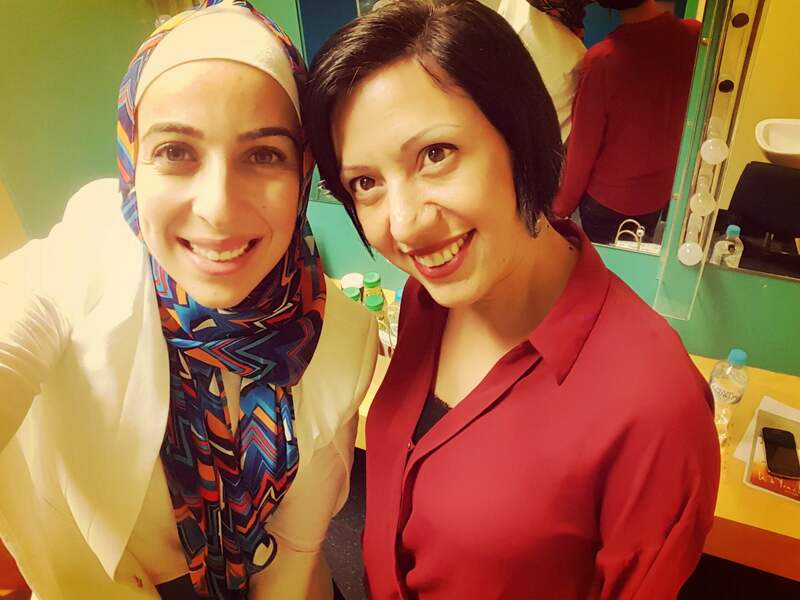 “The poetry I do is a compilation of all my places of exile,” Palestinian-Canadian poet Rafeef Ziadah tells me just before she goes on stage to perform to a packed audience at Parramatta’s Riverside Theatre. Visiting Australia to debut her new spoken-word album, ‘We Teach Life’, Ziadah performed to sold out audiences in Brisbane, Melbourne and Byron Bay before making her way to Sydney for the last leg of her Australian tour. This is the first time that Ziadah has brought her spoken-word poetry to Australia, but audiences down-under are no strangers to her work. Her performance piece, “I Teach Life, Sir”, went viral online following the 2009 war on Gaza, reaching hundreds of thousands around the globe and propelling her to fame. She has used the platform ever since to raise awareness on the issues that matter to her. “Art gives us the space to intervene in public in ways that are blocked to us, and I think it’s important to think how can we reach people in creative ways, in ways that will make people listen, and that will affect them on a personal level. Art does these things,” she says. Despite the difficulty of measuring art as an avenue for change, Ziadah believes its impact cannot be overstated – especially in human rights advocacy. 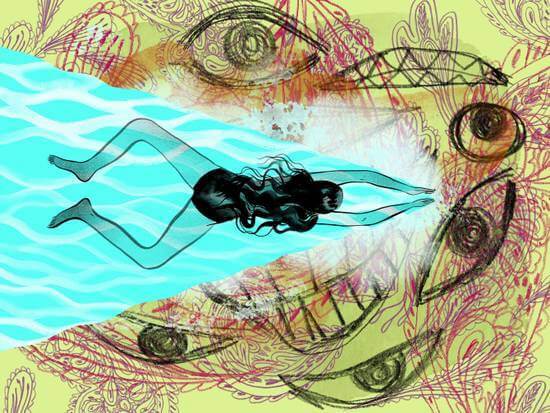 “We have forgotten in social justice movements that art is what sustains people,” she says. And for Ziadah, one area that she passionately wished to bring to the world’s attention was that of Palestine and the Israeli apartheid. “The image of Palestine is so distorted in mainstream Western media – it’s mainly driven by the Israeli narrative. Palestinians simply don’t exist, and if they do, it’s always in negative, stereotypical terms,” she says. Ziadah’s style as a poet was inevitably influenced by her nomadic life and her exposure to various shades of poetry scenes across the continents she traversed. “There’s a huge Jamaican dubstep movement in Canada and an incredibly powerful spoken word scene in New York. Just watching people on stage do that and capture art, politics and strength of words all in one place… That’s what really pushed me to be able to take my poetry in ways I wanted to,” she says. And although she is renowned for her English language performance pieces, the poet and activist has actually been composing in Arabic for most of her life. “A lot of people don’t realise Arabic is my first language. I didn’t learn English until I was in high school,” she says. The impetus for Ziadah to push past those fears was born of a bad experience she had at university. That jarring incident was enough to spark her spirit and propel her to the stage. “Initially, I had terrible stage fright. That’s why I really encourage people to try out spoken word poetry and poetry workshops, because it’s a skill that you can learn,” she says. Nonetheless, Ziadah does not consider her poetry as her full-time career and says that she still does not refer to herself as an artist. “Though it’s difficult to juggle full time work and poetry, this is a conscious decision I have made because I worry about the kinds of compromises artists sometimes have to make if it’s the way they earn a living,” she says. Ziadah was not willing to play into these controlled narratives. “They want to put us in this box of framing– especially when it comes to Arab women, and not in ways that I would want to talk about it as an Arab woman and poet,” she says. Much like the rest of the world, the spoken word movement in Australia has been linked to the necessity for minority groups to have a voice and a space for opposition within and beyond the mainstream. I ask Ziadah what she thinks of this. “I think spoken word is where political hip-hop went to hide, because once it gets commercialised, the politics gets gutted out of it,” she says. But in recognising this, Ziadah says that the significance of interspersing these spaces with cultural expression should not be neglected. She uses her heritage to give an example. “Israel has always maintained that there was no Palestinian people so our culture itself is under attack, so culture – whether dabke or singing – is the way we express ourselves, the way we survive; it’s a central part of how we exist as Palestinians,” she explains. Outside of her world tour, Ziadah’s other passion is recording refugee narratives, and in particular the stories of those currently journeying through Europe in search of safe refuge. “One of the issues today is that people are forgetting,” she says. Sara is an Arab-Australian human rights law and refugee advocate, grassroots activist and creative artist with a decade-long career working with NGOs like Amnesty International Australia, to performing her poetry locally and internationally. Sara regularly speaks and writes on human rights, refugees, Palestine and the politics of language and identity, has been published across national media and featured on ABC program The Drum. A 2015 Australian Poetry Slam NSW State Finalist, Sara is currently working on her social enterprise, ReBOOKS, dedicated to improving refugee literacy, and is a Board Member of WestWords and GetUp!.